The British Columbia Poker Championships (BCPC) is one of the biggest poker series in Canada. Run by the River Rock Casino Resort which is located in Richmond, British Columbia, BCPC has been a yearly event since 2005. Daniel Negreanu won the Main Event of the BCPC back in 2008 for $371,910. That was the year that PokerStars ran satellites to the big tourney, and several high profile pros traveled into town to play it. The series has remained fairly popular over time as the location is just a short distance from Vancouver, one of the most popular cities in the world. The series will consist of four events between October 25th and November 9th. The first event is a $550 bounty tournament featuring No Limit Hold’em and 528 maximum players (not including alternates). $237,600 is the estimated prize pool. The event will last four days in total, wrapping up on the 28th of October. The next event, a $1,100 No Limit Hold’em tournament, has an estimated prize pool of $550,000 and features a maximum field of 550 players. This event kicks off on October 30th and finishes on October 31st. Featuring a $3,000 entry fee, the Main Event of the series also has a capped field of 550. The estimated prize pool is a handsome $1,485,000. The event gets started on November 2nd and will last four days. 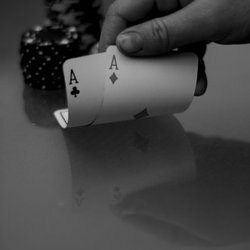 If you love huge buy-ins, there is also a high roller event to look forward to. The three day event starts on November 7th and has a buy-in of $5,000. With a 176 maximum field, the estimated prize pool is a healthy $809,600. You’ll be happy to hear that there are super satellites both before and after the series. Make sure you’re free in October because there’s a lot of money to be won! Black Friday changed the lives of many American online poker players as they were, without warning, cut off from the three biggest online poker rooms at the time. This forced a great deal of those players to question what their future in online poker was or could be. With the remaining available sites in the United States having little to no player base, the option became clear for some of these players: move abroad. For a lot of these players, the transition phase can be a daunting task. Not only do you have to do research on the immigration rules of the country you’re moving to, you also have to find accommodations in said country. If your site of choice is PokerStars, you will then be required to show that you are maintaining a residence in another country. Poker Refugees can help you with all these tasks. Poker Refugees is a service run through PocketFives, a site that ranks tournament players. For a one time relocation fee of $1,000, they offer quite a few ways to help a poker playing looking to move abroad. Before you move, Poker Refugees offers to help find you the best location to move to. They also help you find somewhere to live and, in some cases, assist you in moving your possessions to your new home. They offer transportation from the airport to your new place, and they tell you what you must do to play poker online. To help you with all this, you are put in contact with someone that specializes in relocation. Furthermore, Poker Refugees aids you in getting a high speed internet connection set up, and you will also receive help with a back up connection. They help you get a local bank account, an accountant in the area, and a cell phone plan. If you are an American poker pro and playing live poker for a living just isn’t an option, you might want to consider Poker Refugees. Figuring everything out yourself can be very tedious, so it might be more than worth $1,000 to hire the service.